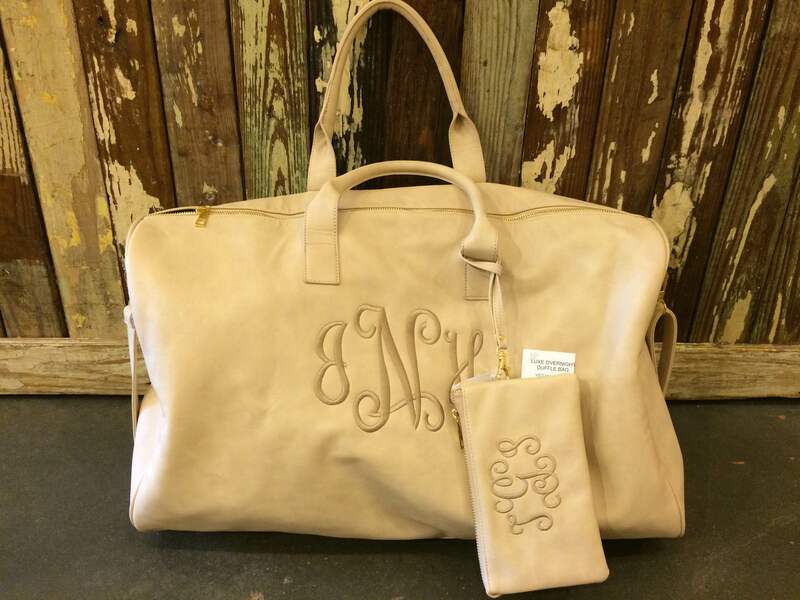 First, we are loving this leather duffel with a tone-on-tone monogram!! Such a nice piece of luggage at a great price – and there’s a matching wallet/pouch! 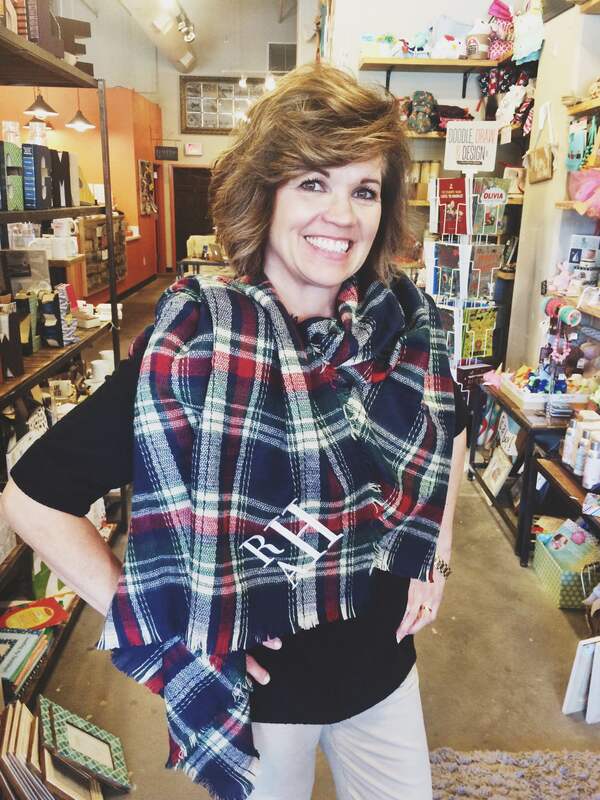 If you aren’t in need of one of these for your holiday travels, I’m sure there is someone on your list who is a traveler at heart who will NEED this bag! 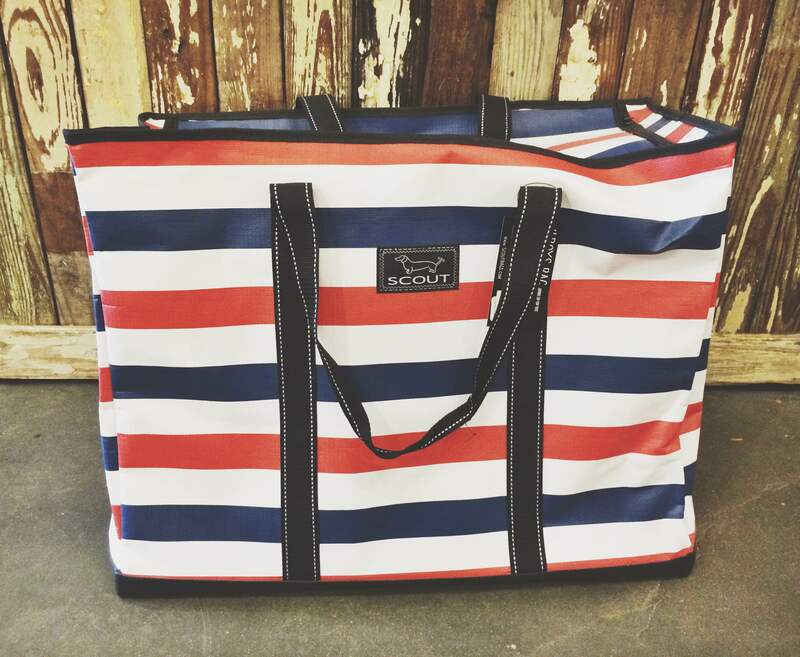 Another great bag for traveling is the 4 Boys Bag from SCOUT! It has a flat bottom and it’s HUGE. It’s perfect for stacking in the trunk when you have a lot of stuff to take with you! And it zips closed on top, which is always helpful. 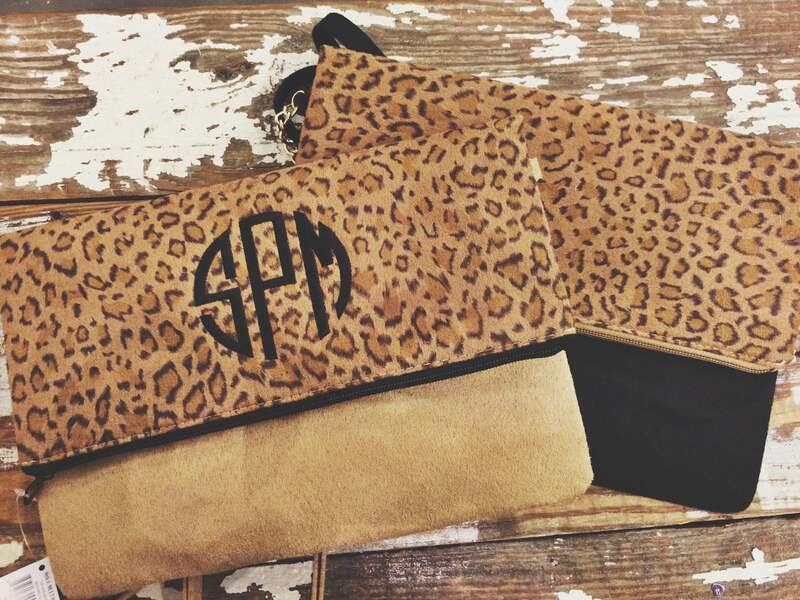 These also look awesome with a vinyl monogram! 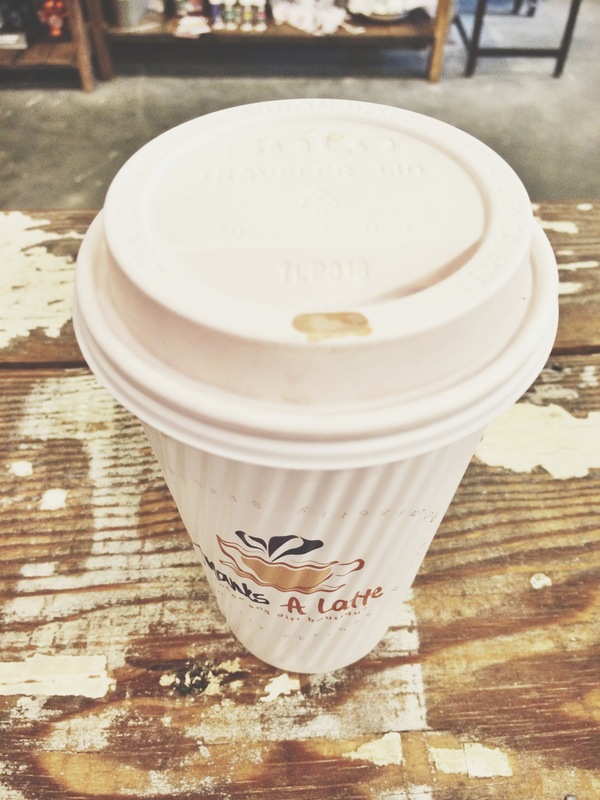 One thing we can’t ever forget when we are traveling is our coffee! 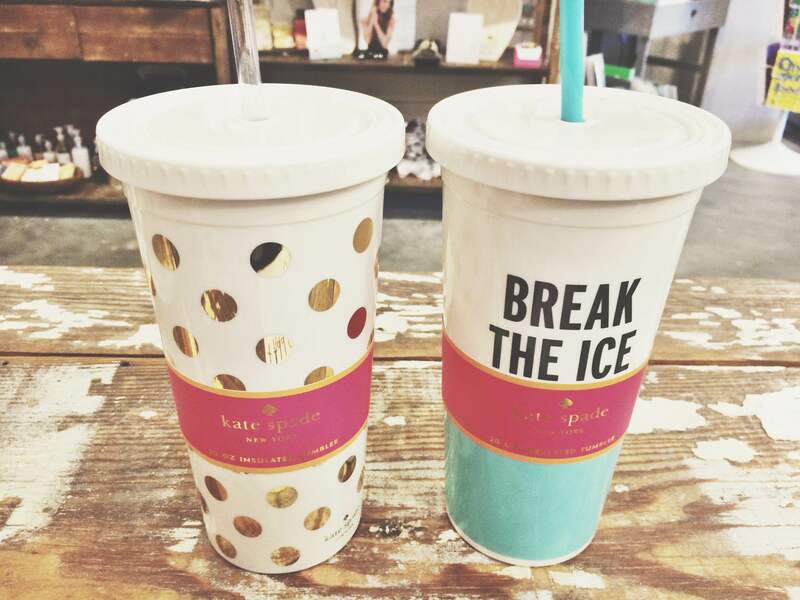 But you can use this Kate Spade tumbler for whatever beverage keeps you going on those long road trips. Once again, makes a really cute gift when you add a monogram! 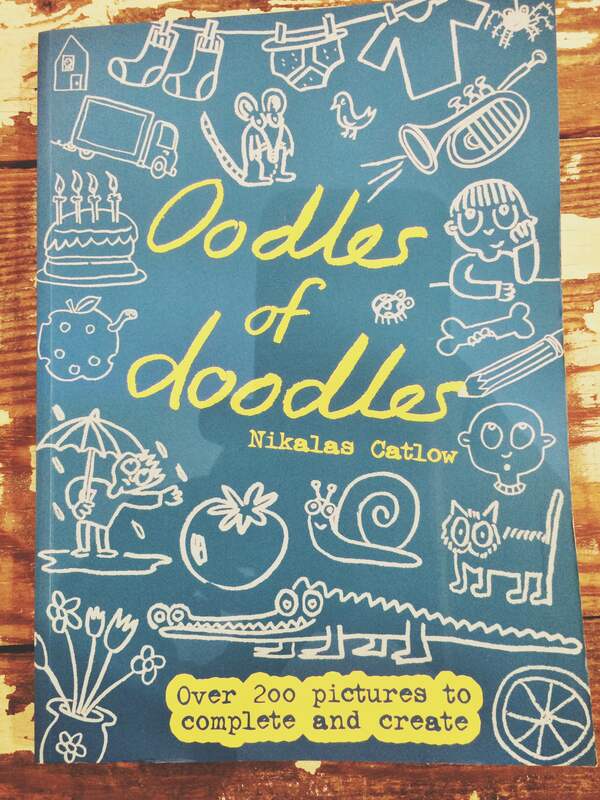 We know those long car rides can be brutal with young kids, but our Doodlebooks are the perfect way to help them pass the time!! We have tons of different ones in store – these are great for a pretty wide range of ages too! Every page can be colored, but there are also activities included inside! Wherever you are traveling this year, we hope you stay safe and have a great time! Even though the world is quickly moving towards being completely digital, there is something about paper that people just love. We love technology, but there are some things that technology can’t say the same way. Especially when you are trying to show someone how much you care, paper goes a long way. For example, a handwritten card sent in the mail can be so special and can really make someone’s day. 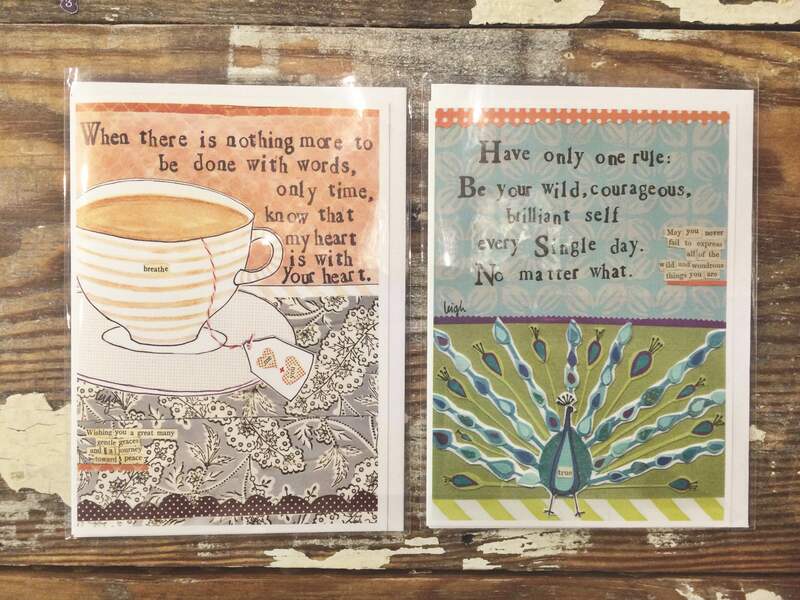 Whether they are experiencing loss, have a birthday or just need a little pick me-up, cards always brighten people’s days. We love the cards from Curly Girl Designs for just about any occasion! They are so cute, and have the best sayings. They even look great in a frame! Nothing beats a good journal. When you are going through something exciting, hard or confusing, nothing beats sitting in a coffee shop and writing it out. Not a writer? Maybe you should give it a try 😉 Personally, I process things the best when I am writing about them. These journals from Ashley Brooke Designs make great gifts too! 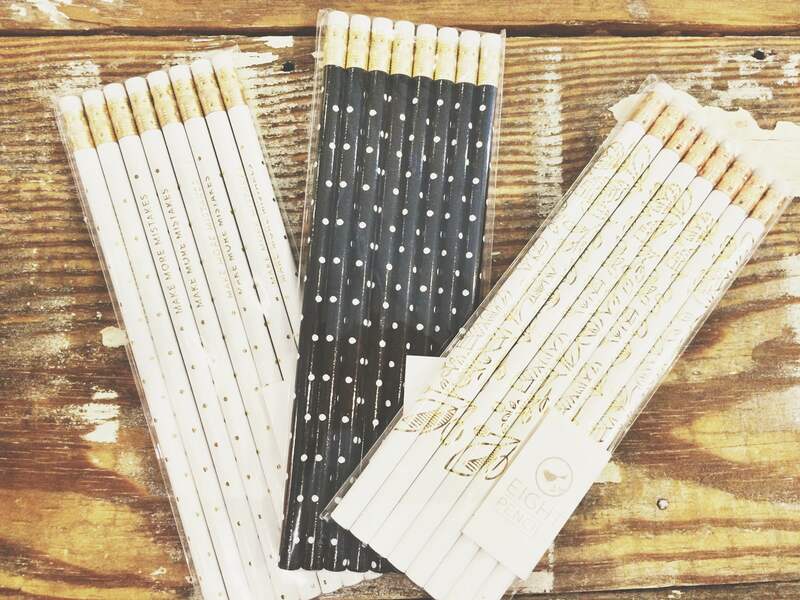 And don’t forget some cute pencils! A huge trend in home decor right now, is framed prints. There are so many people/companies out there now who do an amazing job at this! 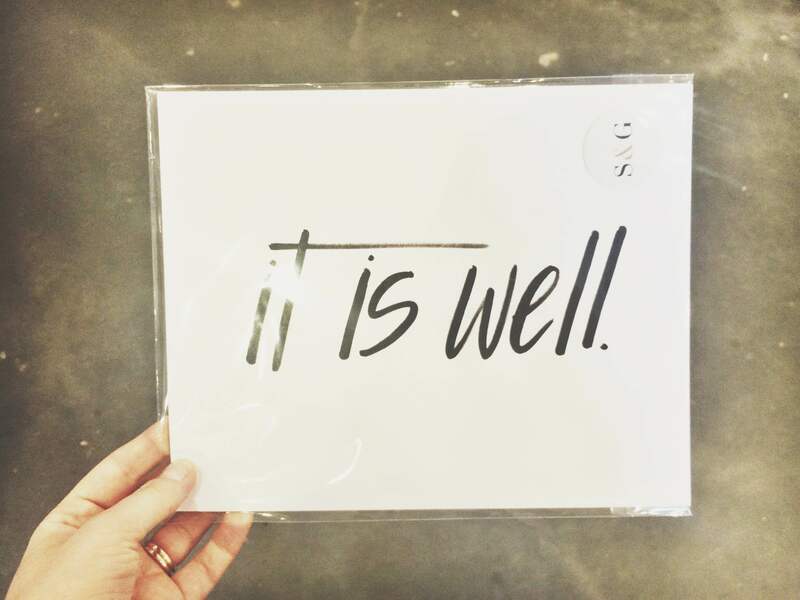 We carry prints from Rosanne Beck, All She Wrote Notes (speaking of ASWN, stay tuned for our next Calligraphy class!! ), Emily Ley and the one pictured below is from Scarlet & Gold. If you know who someone who already loves to write, these initial stationary sets are a perfect gift! Comes with a notepad and a set of cards. We hope we’ve inspired you to get out your paper and pen and write down some thoughts or send a sweet card to someone! Come see us for all the tools you need! It’s the start of the busiest season of the year, and we have everything you need at Thanks A Latte for when you are on-the-go! 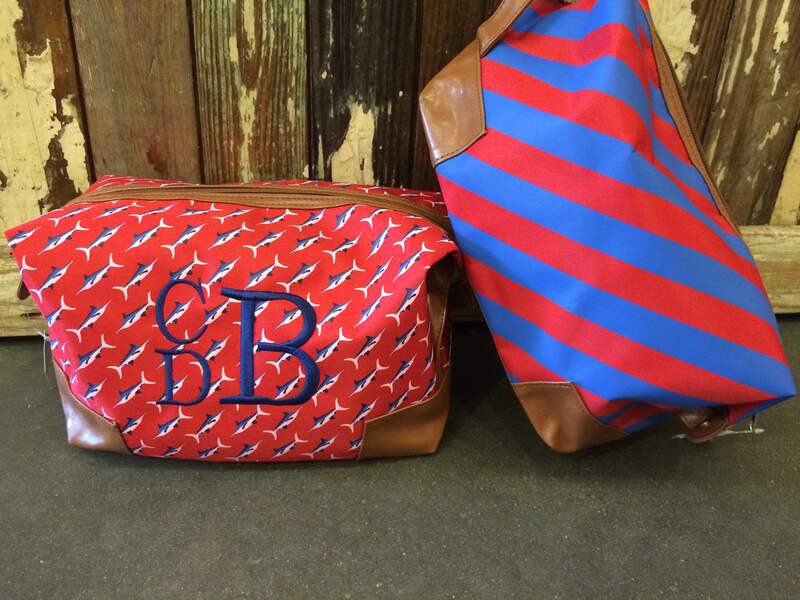 First, our favorite “catch all” bag, the Oh Buck It bag from SCOUT. Unlike most of their bags, this bag is made out of canvas which makes it feel more like a tote bag. 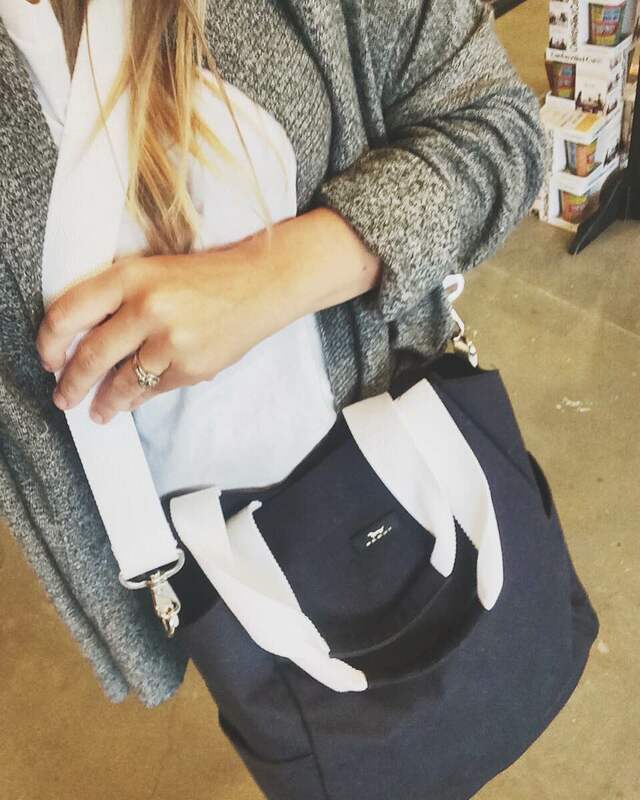 It’s the perfect bag for running around doing errands! And of course it’s super important to drink lots of water. Especially as flu season approaches! 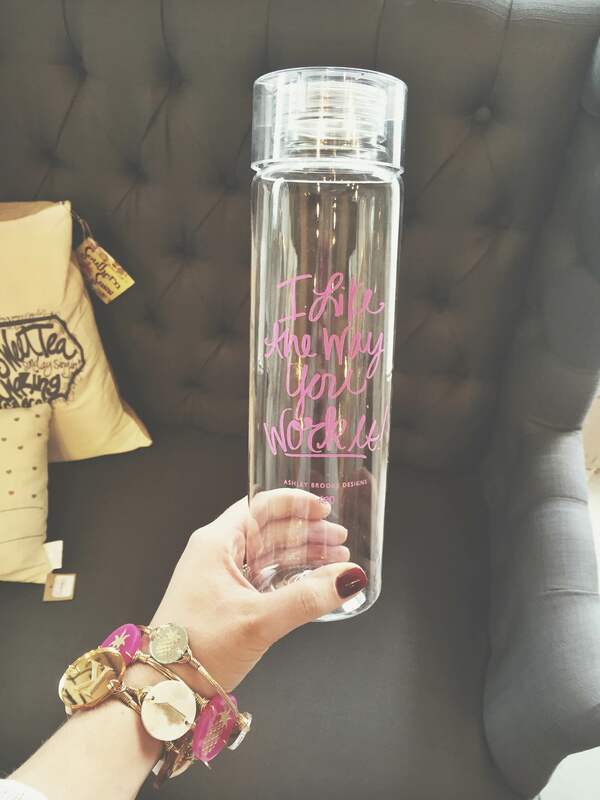 This water bottle from Ashely Brooke Designs keeps us hydrated AND motivated (“I like the way you work it”). Another thing I love to keep in my bag is my Purefactory Naturals Foot Repair Stick. 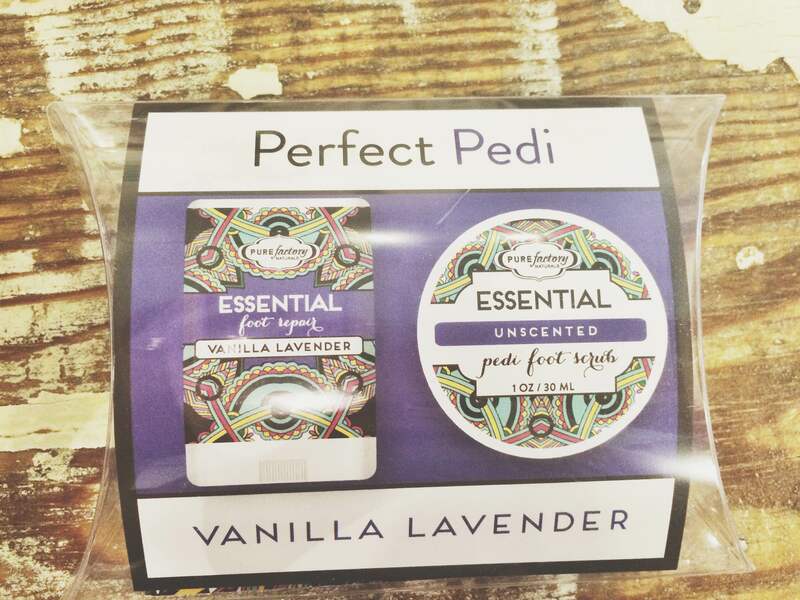 They come in 2 sizes – one for your BIG bag, and one for your little bag 😉 Rub this stick on your feet for a pedicure on the go!! And of course I always have to have my Turkish Towel. I can use it as a scarf or shawl when it’s chilly, and I can also use it as a blanket for the park when it’s nice out! And of course the number one thing I have to keep with me at all times is COFFEE. 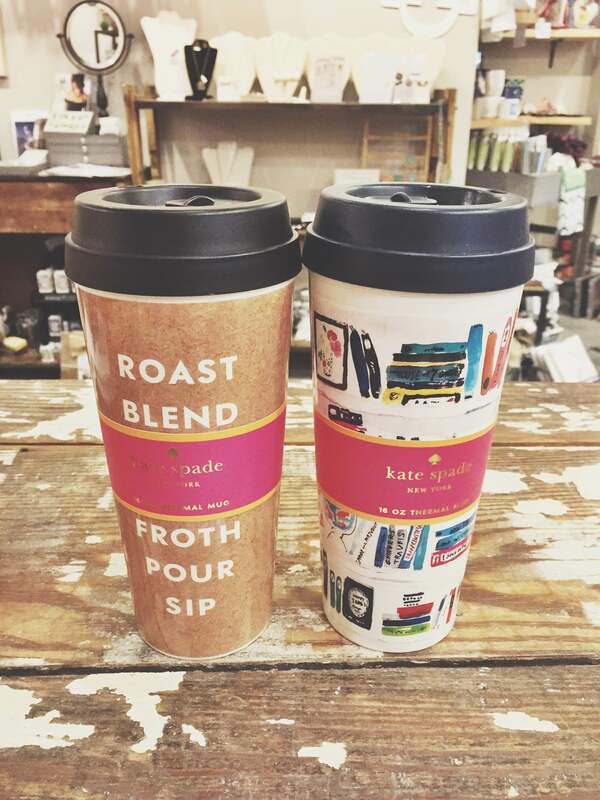 These Kate Spade thermal mugs are the perfect way to keep your coffee warm and with you on your busiest days. Come see us for all the things you need to stay prepared this season! Happy Fall Ya’ll! It’s officially fall, and the weather this past week actually felt like it a little! 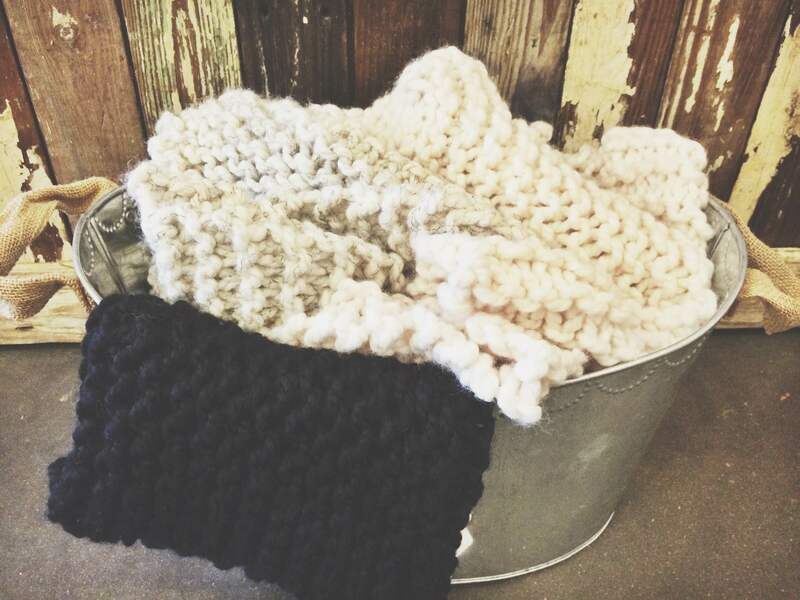 We have enjoyed cuddling up in our sweaters and flannels, but its back to 80 degrees today! Since it’s almost October (WHAT?! ), we figured we’d give you a little update on our fall drinks and a little preview into what this winter will hold! I’m sure most of you have been in to try at least one of our delicious pumpkin beverages, but here is what we have to offer! Of course, the Pumpkin Spice Latte. Our Pumpkin Spice Latte is made with espresso, steamed milk, a pumpkin pie sauce and an all natural vanilla syrup, topped with our homemade whipped cream and freshly ground nutmeg. Can you say “YUM?” We dare you to compare it to Starbucks. We dare you. Our Pumpkin White Mocha. This is another latte made with espresso, steamed milk, pumpkin pie sauce, Ghiradeli white chocolate and of course our homemade whipped cream and nutmeg on top! Pumpkin Chai Latte. If you don’t know by now, our chai is FAMOUS. Hands down the best chai you’ve ever had. We’d bet on it. And if you haven’t tried it with some pumpkin pie sauce added to it, well, you haven’t lived. Of course this still comes with the usual, homemade whipped cream and freshly ground nutmeg. Debuting any day now is our Spiced Apple Cider. If you’ve had your caffeine fix for the day, but you just need a little warm pick-me up, our cider will do the trick. Steamed fresh apple cider with cinnamon and whipped cream – so simple, yet so delicious!! And if pumpkin just isn’t your thing, don’t worry, November 1 all our winter drinks will be available! My personal favorite, Peppermint Mocha. Made with espresso, steamed milk, Ghiradeli dark chocolate and a peppermint sauce and topped with whipped cream and crushed up candy canes. Heaven. Also can be made with white chocolate of course! Eggnog Latte. This holiday favorite is made with REAL eggnog. So, if you like eggnog, you’ll LOVE this. We have a few other holiday drinks in the works, so you’ll have to stay tuned for some special treats! And of course if you aren’t a coffee drinker, we have some amazing peppermint hot chocolate that you’ll have to come try! And the most exciting thing that we have to announce this week is that tickets for our Annual Christmas Party will go on sale Oct. 15! More info on the party to come, but make sure you mark your calendars and tell your family and friends! We will have a limited number of tickets this year, and they’ll go fast! We will be selling them through our new text to buy system. If you haven’t noticed already on Instagram, we have put a few other items for sale through text! Our number for text purchasing is (919) 584-4022. You can store this in your phone as Thanks A Latte Text Buy. Keep watching our Instagram and Facebook for more updates on winter treats and on the Christmas party! We are so excited for this season with ya`’ll! So, believe it or not, this Sunday, September 27, is me and Darren’s 2 year anniversary! It has been a whirlwind so far, but I have genuinely loved every second. I am so thankful everyday to be married to such an honest, humble and godly man. 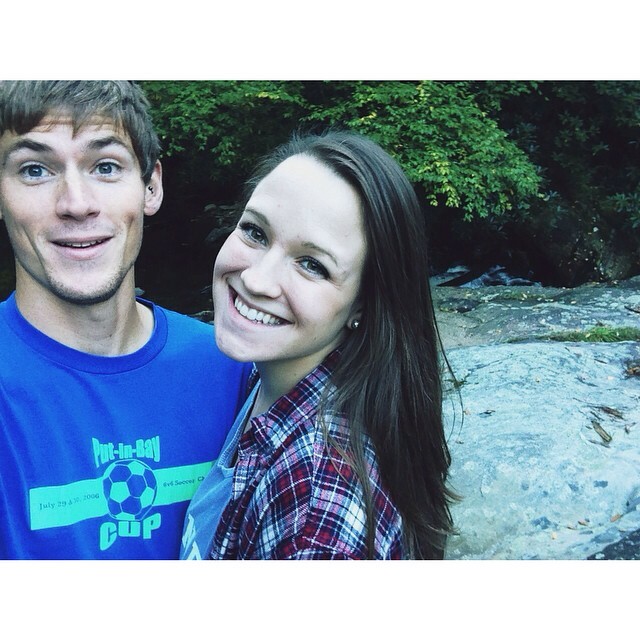 We are going to go back to Boone (where I went to college, and where a lot of our relationship happened) to stay in the same Bed & Breakfast we stayed in last year for our first anniversary. In honor of our anniversary, I figured we’d do a blog post on some of our new wedding gifts we have in the store! 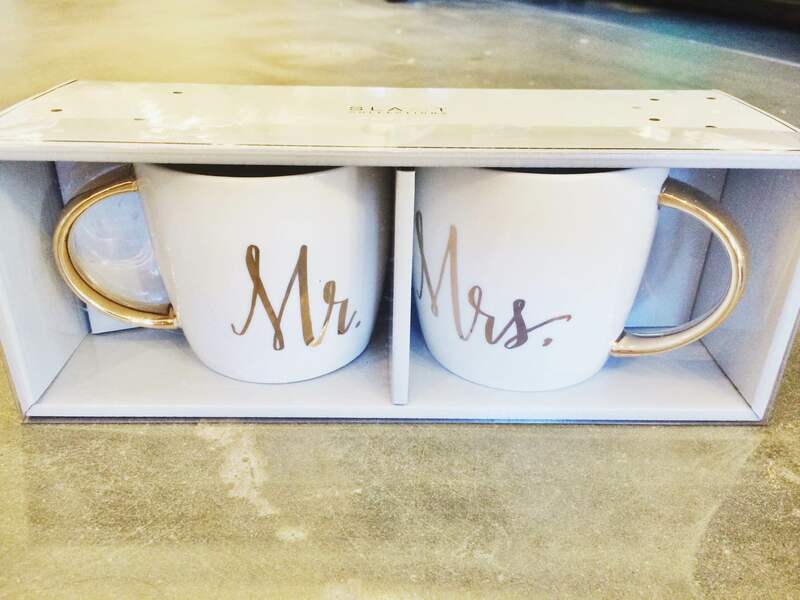 Everyone loves a good Mr. & Mrs. duo, whether it’s wine glasses, coffee mugs, pillows, or even tshirts! We recently got these gold foiled Mr. & Mrs. coffee mugs and wine glasses. 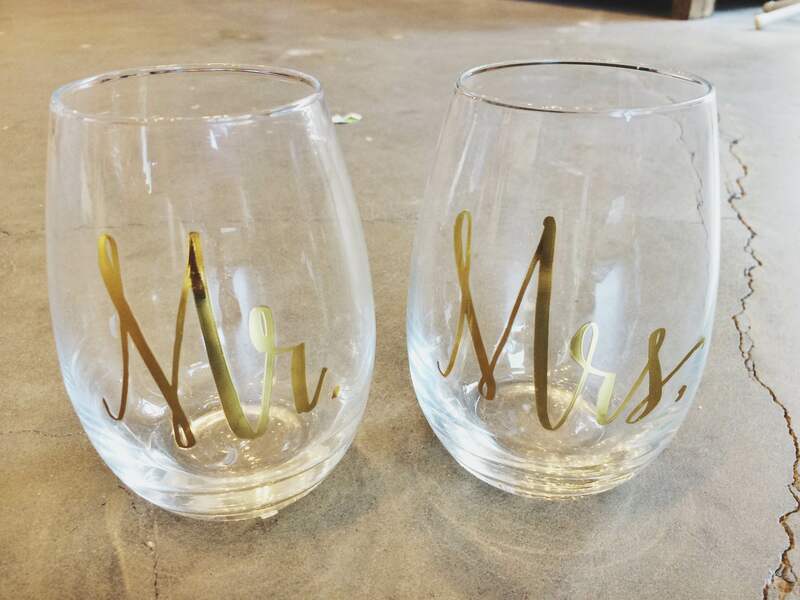 How perfect would these wine glasses be with a bottle of champagne as an engagement gift?! And we are obviously obsessed with these mugs because…coffee. 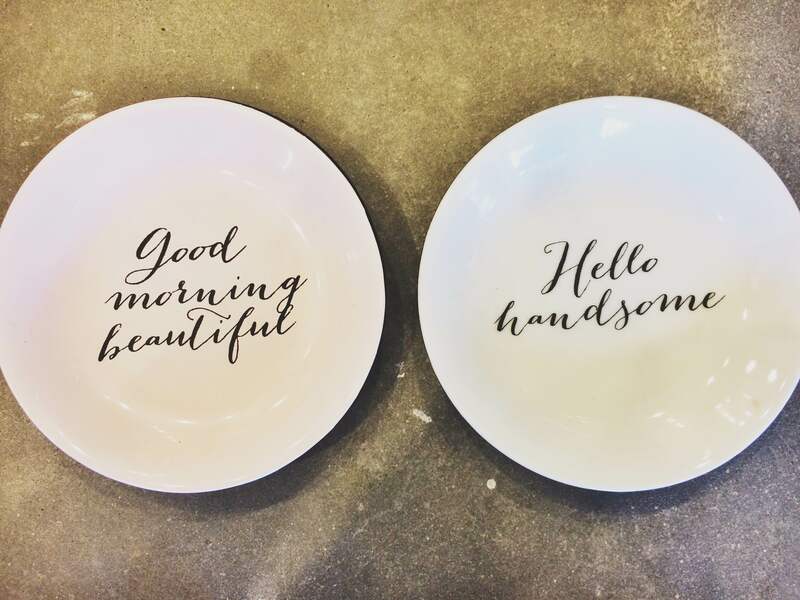 These little dishes make an awesome engagement or wedding gift also! They can be used as little trinket trays in your bedroom or bathroom, or even as little dessert or breakfast plates! You could also hang them on a gallery wall with some pictures of you and your spouse and a cute initial. 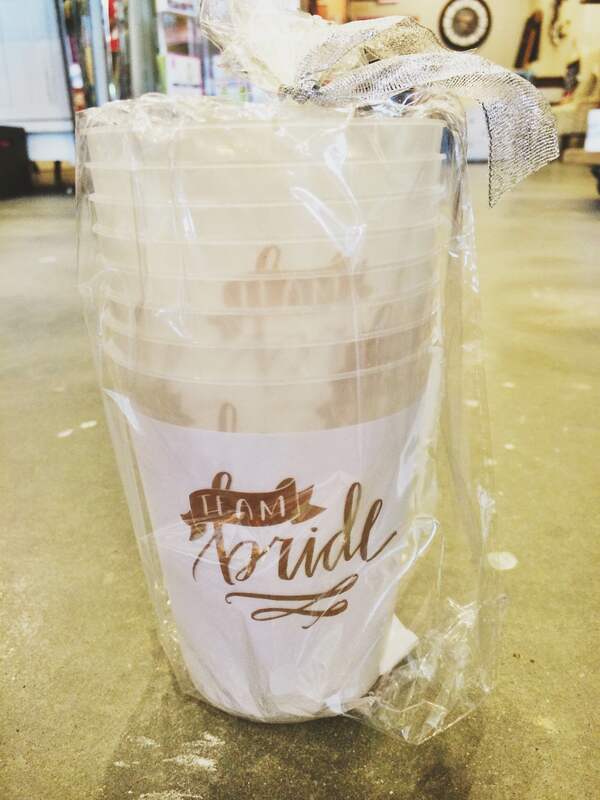 A really fun thing to grab for a bachelorette party are these “team bride” cups! You could also use them for a bridal shower or bridesmaids brunch. 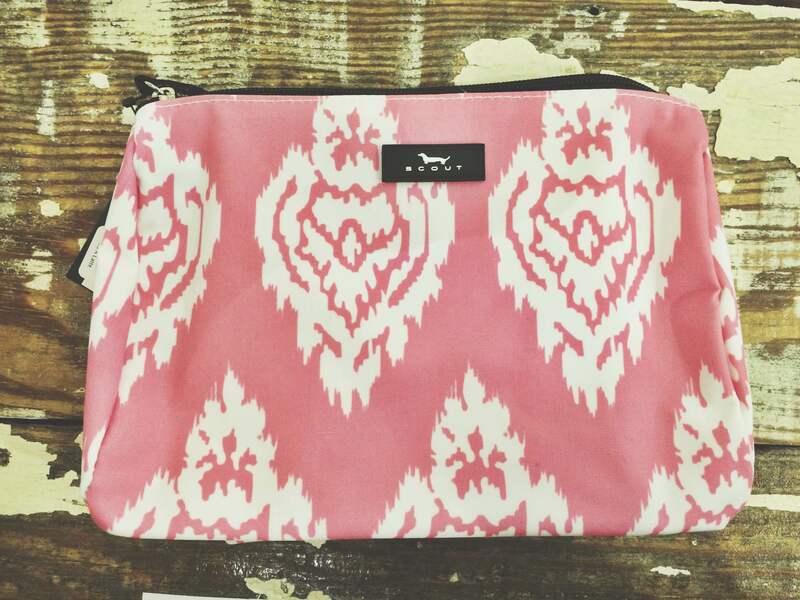 Speaking of bridesmaids….we have some really cute bridesmaids gifts!! 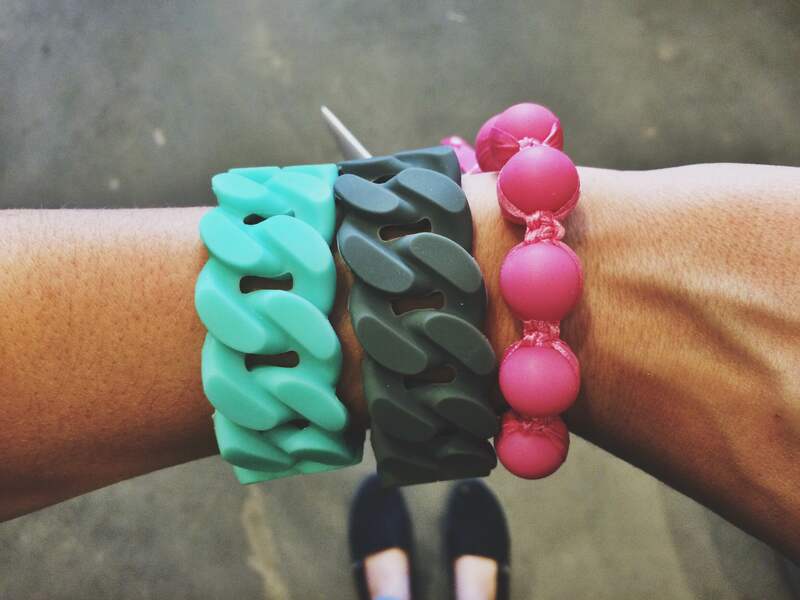 These knot bracelets are probably the best idea I have ever seen. The box says “My I Dos would KNOT be the same without you.” CUTE. They would even be really cute to wear IN the wedding. 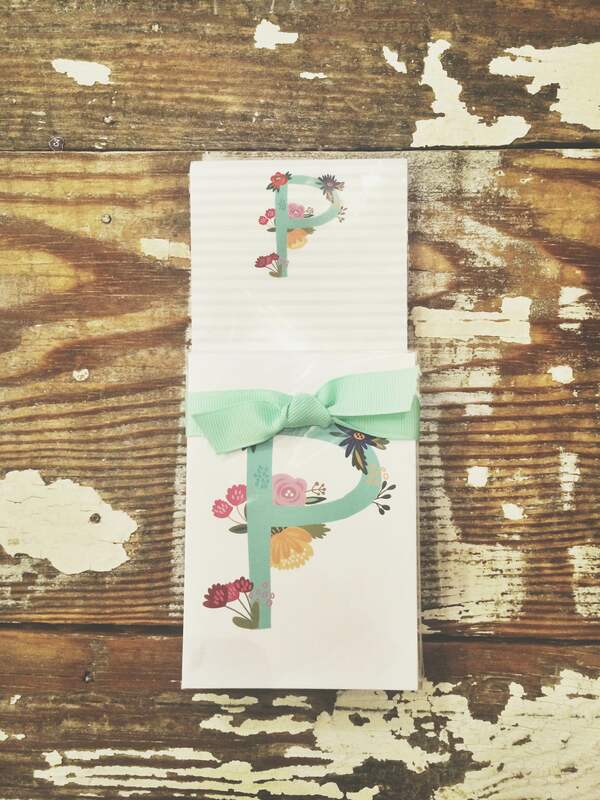 And Pinch Provisions is always a no brainer when it comes to little gifts! These tiny emergency kits are perfect for each bridesmaid to have on hand for the big day, and will definitely come in handy long after your wedding day is over. Attention all students and teachers and moms of students and teachers!! This blog post is for you. I know it’s a little late for a back-to-school post, BUT we figured we’d let the cost of text books and all your initial school supplies blow over before we showed the REAL essentials for an awesome year. First of all, lets talk about bags. 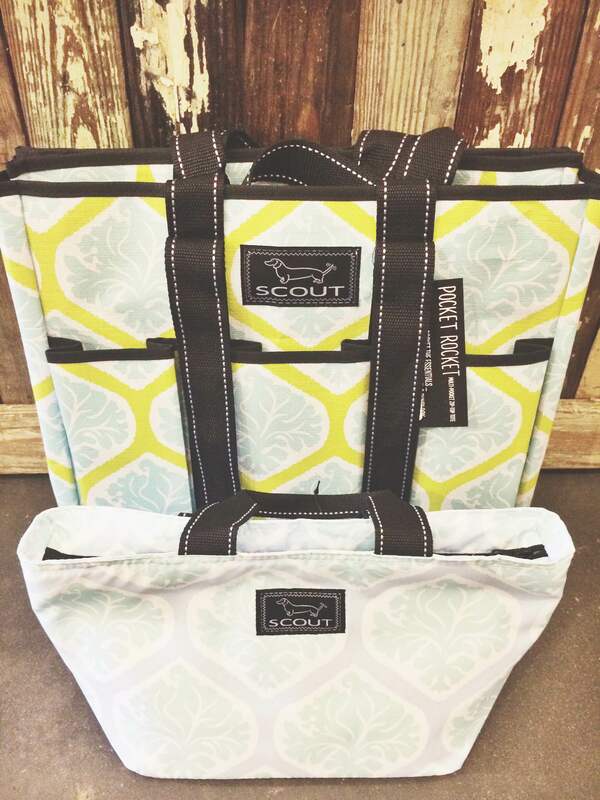 SCOUT pretty much as the best and most practical bags out there, but especially for school! 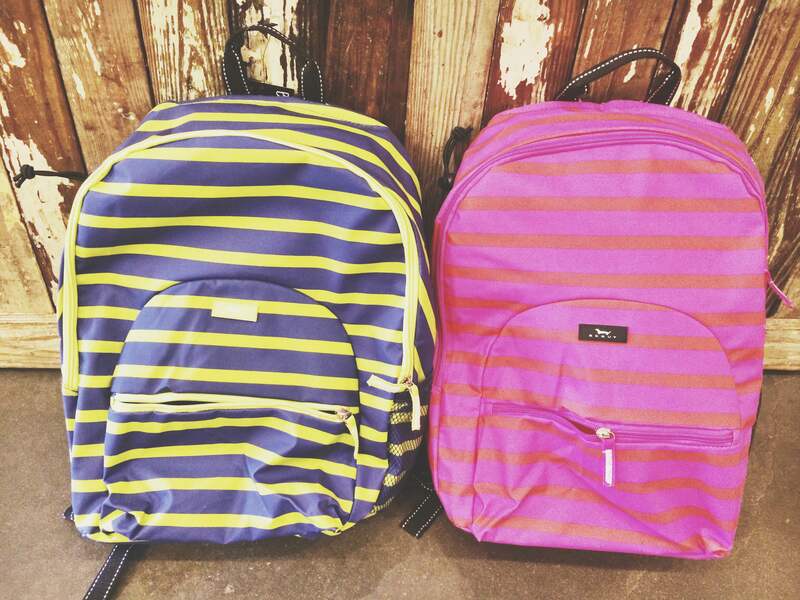 Their backpacks are cute, durable and can (obviously) be monogramed! 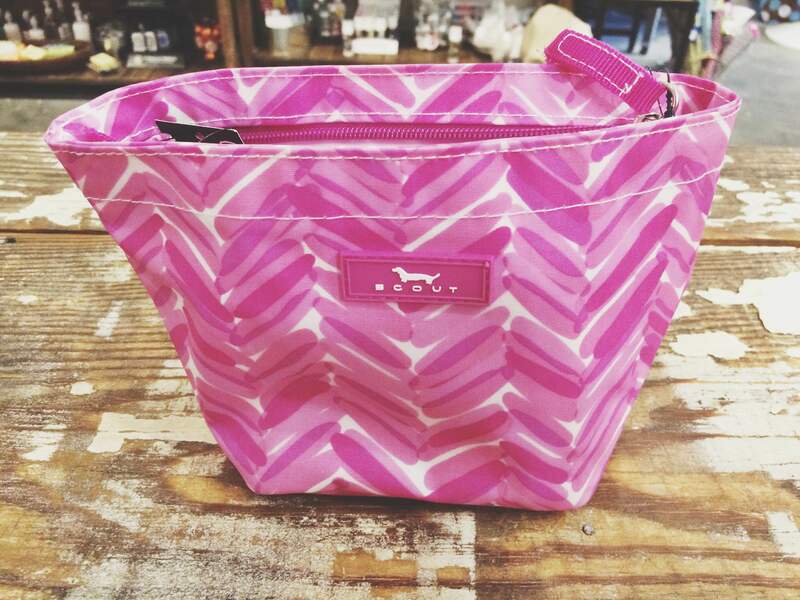 They have several pockets and come in these two amazing stripe prints. 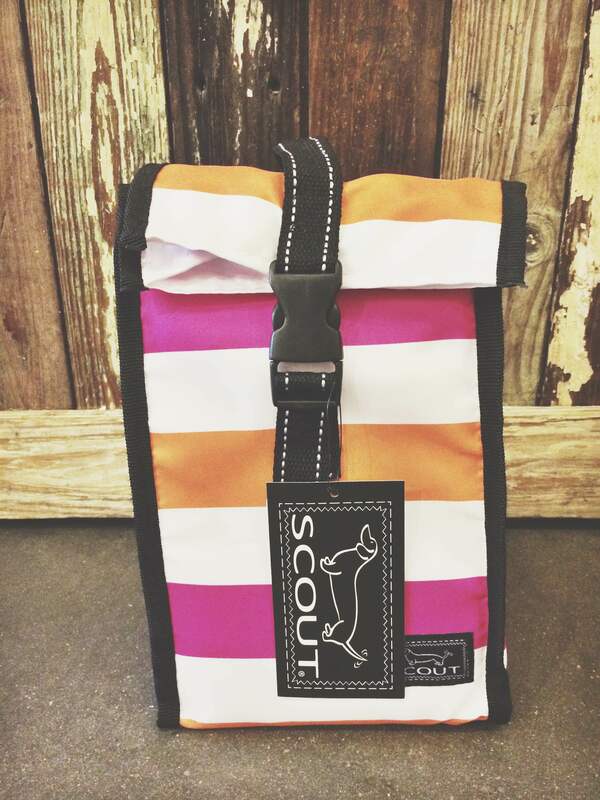 One of SCOUT’s best selling bags, the Pocket Rocket, is an amazing bag for teachers! There are pockets surrounding the outside, and it’s shape and durability make it great for carrying a laptop, tons of file folders, binders, etc. And of course we have to have some matching lunch boxes!! We have two different styles and tons of different patterns to choose from. Whether you are a student or a teacher, these thermal lunch boxes have your name on them (and they actually CAN have your name on them…literally…if you want). And then you need to have a pencil pouch to put them in!! 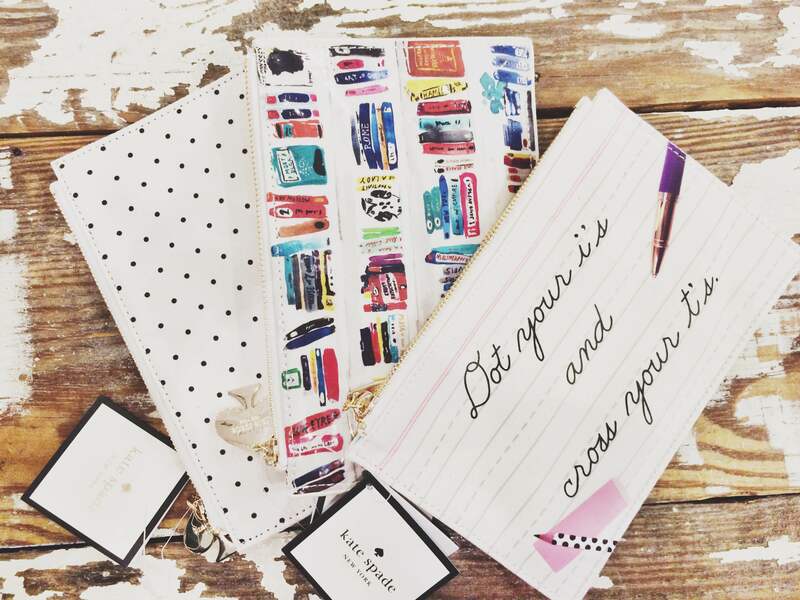 Kate Spade has some incredibly cute pencil pouches. They are an awesome size and can actually be used as a pouch for just about anything. Teacher gift? Some cute pencils INSIDE a cute pencil pouch? Yes please. And finally, a cute tumbler to carry around your beverage of choice to get you through the school day. 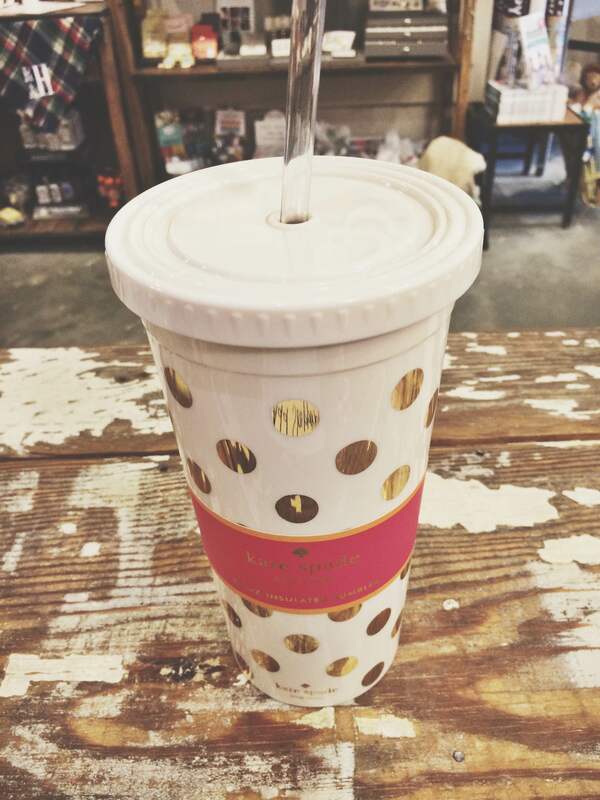 Iced coffee, water, sweet tea – it all tastes better in a cute cup. We hope you’ve all had a great start to the year so far! Our adorable school supplies and our delicious coffee are more than enough to keep you perky on your longest school days this year. Come see us soon! We hope you all had a relaxing Labor Day spent with family and friends! We had a great time relaxing and spending time together at the pool and our moms house, eating DELICIOUS food as always. We wish days like this could come more often, but we’ve found that the weeks aren’t quite as long when you find time to take little moments of relaxation along the way. Lucky for you, we have some awesome products to help you do just that! 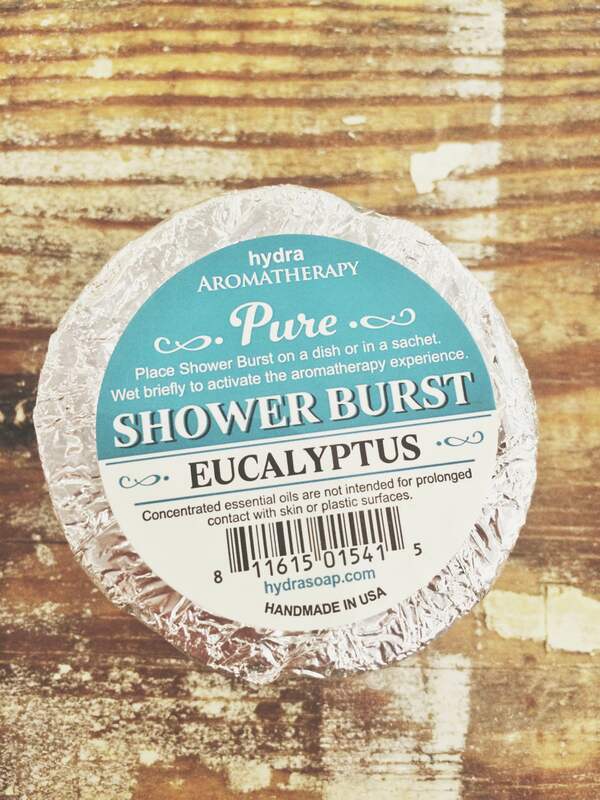 Another way to feel refreshed and relaxed with a busy schedule is with one of our Shower Bursts! Hang one of these in a little sachet in your shower, and as the hot water hits it, it will release amazing, relaxing scents! And finally, the epitome of relaxation, a bubble bath. We have little bath fizzies that make great add ons or are a great pick me up on hard days! And we also have these beautiful bottles of bubble bath from Lollia! 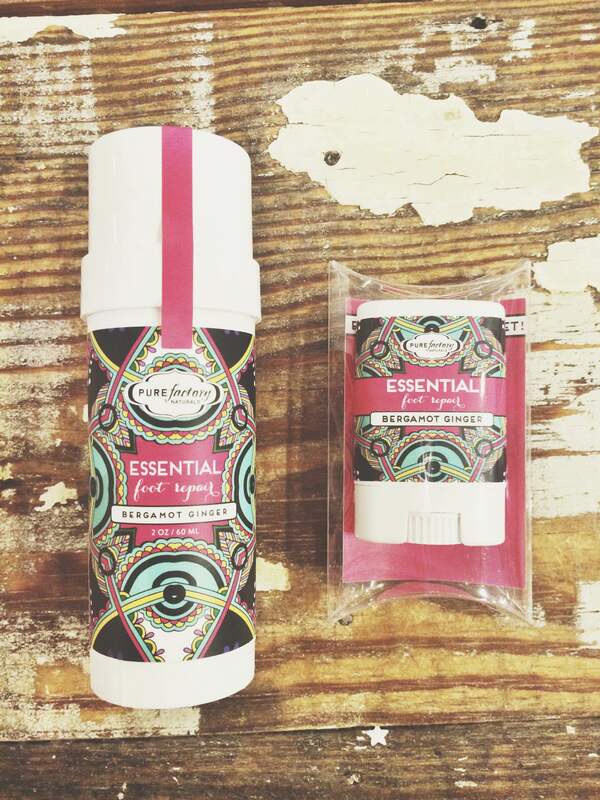 These come in 4 scents and in 4 different pretty bottles. These are awesome gifts and look pretty as a decoration long after the bubbles are gone! If you’ve been in our store, you have probably noticed our love for North Carolina. We posted a few months ago about some of our favorite items that were made in NC (read more about that here!) 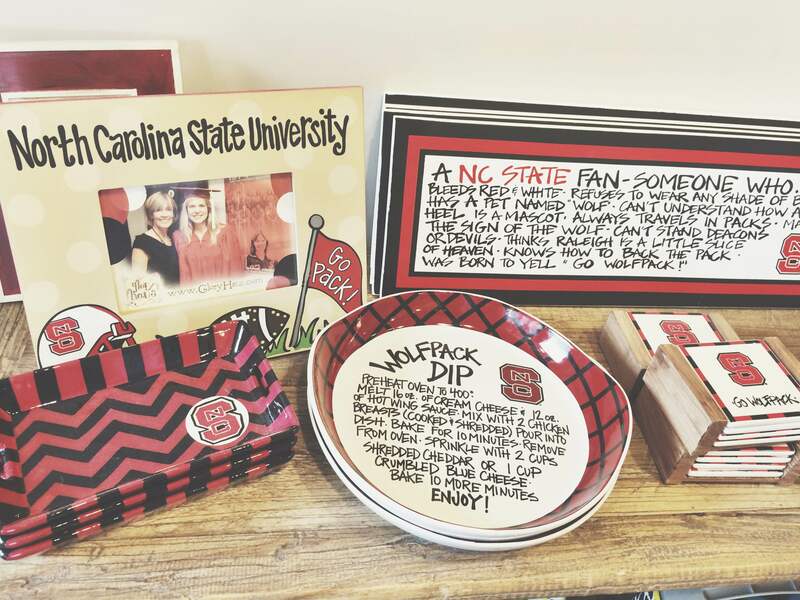 Today, we wanted to show some amazing items we have that will help you show your love for NC! First, we wanted to show our favorite NC items for entertaining! These wooden white trays look so cute on top of a wooden coffee table or dining room farm table. And these coasters are neutral enough to go anywhere! Both of these amazing pieces make great wedding gifts or housewarming gifts! Next, these two items are perfect for decorating a home that is proud to be in North Carolina! 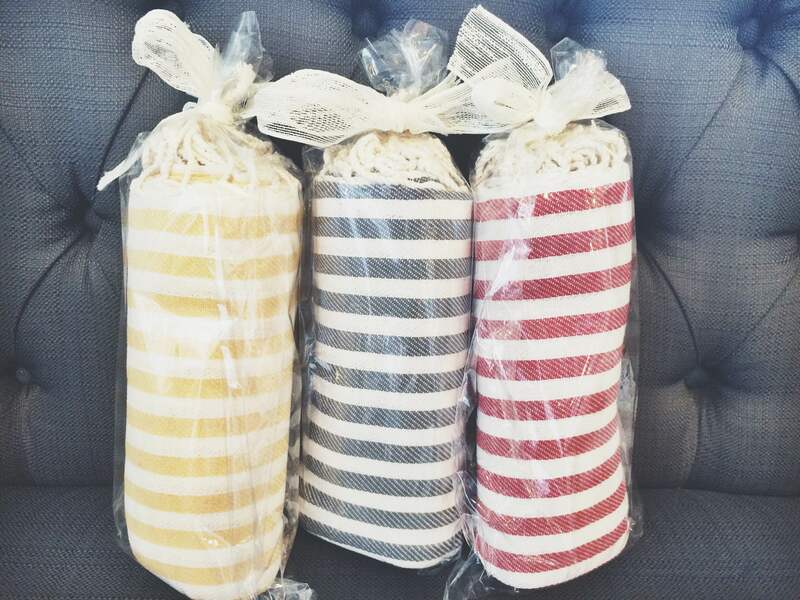 These Southern Sass pillows are the perfect touch to any comfy couch, fluffy chair or bed! And this NC shaped chalkboard looks AMAZING in a kitchen! Any of these awesome NC products make great going away presents, welcome home presents, graduation presents, wedding presents and house warming presents! Come check out all the fun ways you can rep your NC pride! One of our newest lines that we are falling in love with, is Lollia! Lollia is a line of luxurious bath and body products created by designer Margot Elena. They are not only amazing products, but the packaging is to die for! Which makes it perfect for gifts. Their little envelopes of bath salts make great bridesmaids gifts. Their bubble bath’s that come in pretty bottles make awesome birthday and anniversary gifts. And their hand cremes are an essential for every woman’s purse! Take a look at the scents we are carrying. Some of Lollia’s bubble baths were even featured on Oprah’s favorite things! So you KNOW they have to be good! These awesome products from Lollia are great for almost any occasion. Come see us for help picking out which scent and style for your next gift!